Let’s say hi to REQ. Req 1 has been approaching this project with his unique, photo real style. 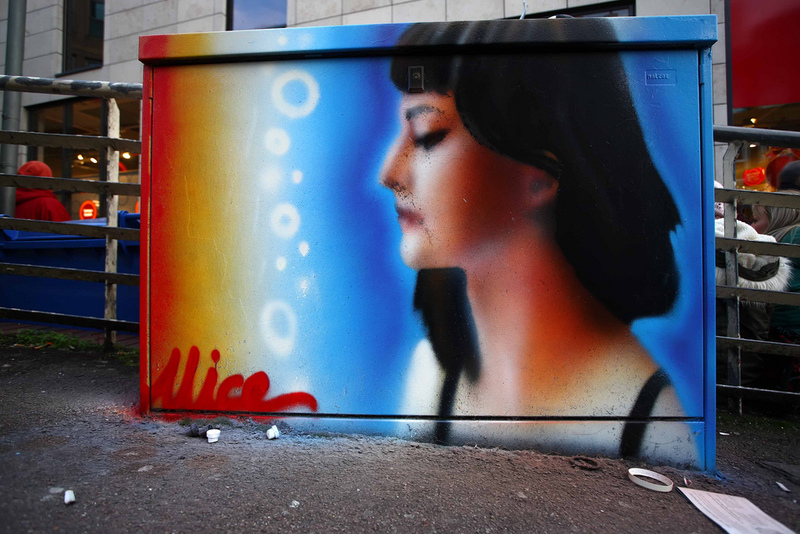 Immortalising his model, Alice, around the streets of Brighton. When I first moved to Brighton, around 5 years ago, I was delighted to have the opportunity to meet Req 1. 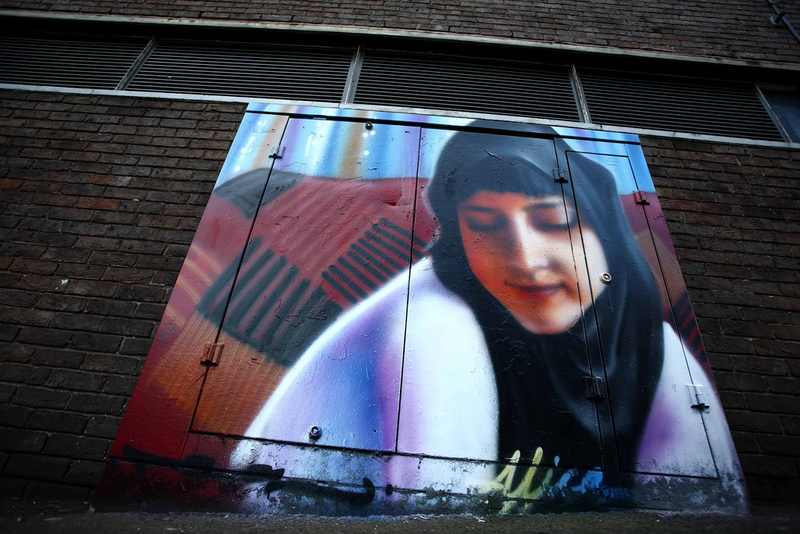 A key player in Brighton’s graf scene since the 80’s and producer of eclectic beats, REQ1 is now also known for his skills in observation drawing, and more impressively in spray paint. 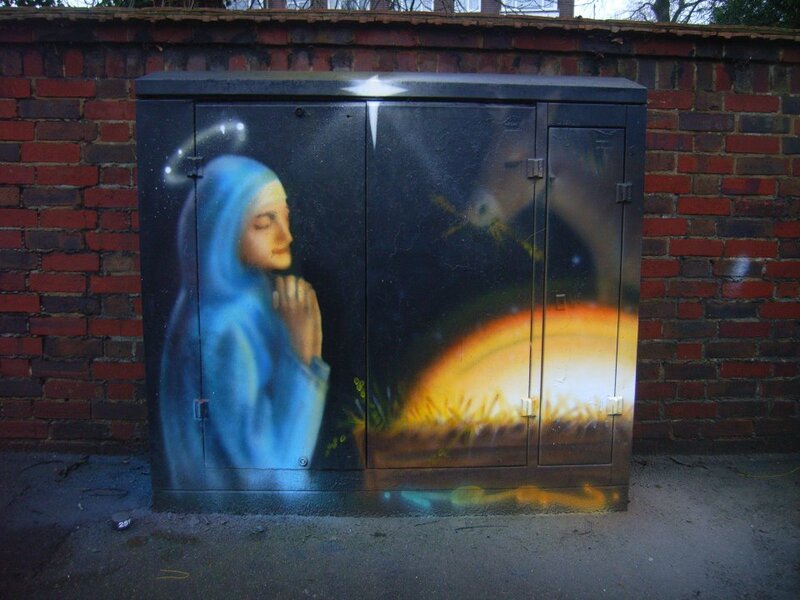 So here you are, for the 23rd installment of Grafik advent, Req’s take on the nativity. 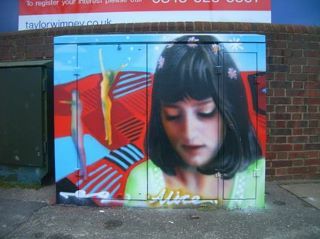 Keep an eye out for more work by Req around Brighton. He also runs projects through the name DUSTWORKS, and sells his art through INK-D gallery in Brighton. Only 2 more days to go. Keep your eyes peeled.